Today's giveaway is from Pen and Paint, which I'm really excited to share. Pen and Paint is the creative product of Lindsay. Her beautiful, one-of-a-kind drawings are some of the most colorful, whimsical, and inspirational pieces I've seen. 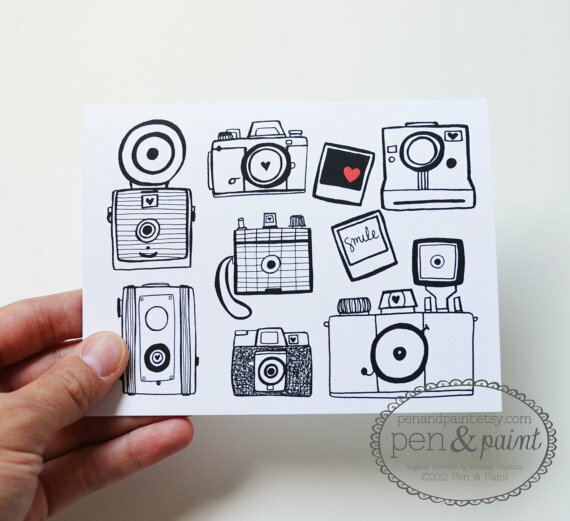 The selection ranges from art prints (both stock and custom) to note cards to mini cards to notebooks and notepads! My brainspace is totally consumed with all things baby, and I've been dying to go with a "by the sea" theme for our boy's nursery, so naturally, this print caught my eye. If it's nautical, I want it. Lindsay is giving away $30 credit to her shop! What would you choose if you won? Cards? Prints? Maybe everything?! For a chance to win, please complete the Rafflecopter entries below. The winner will be chosen at random next week. The sewing machine prints would be great for my mama's sewing room! I love them all, but especially the choose your color I love tea print. 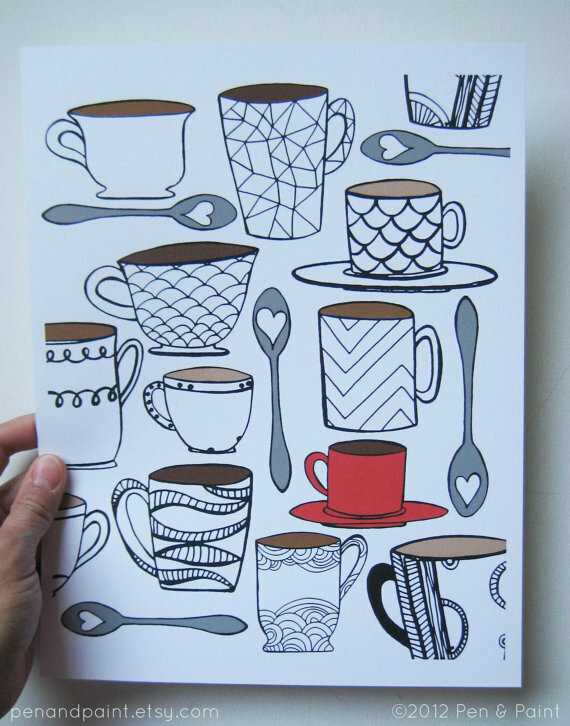 I love the coffee art print. It would be perfect for my kitchen! I LOVE the adorable blue and pink valentines. SO cute. I love everything she does! But, I'm dying to get one of the small camera paintings. Either the dandelion cards or the camera ones, so adorable! Love them both and know exactly who I'd send them to! 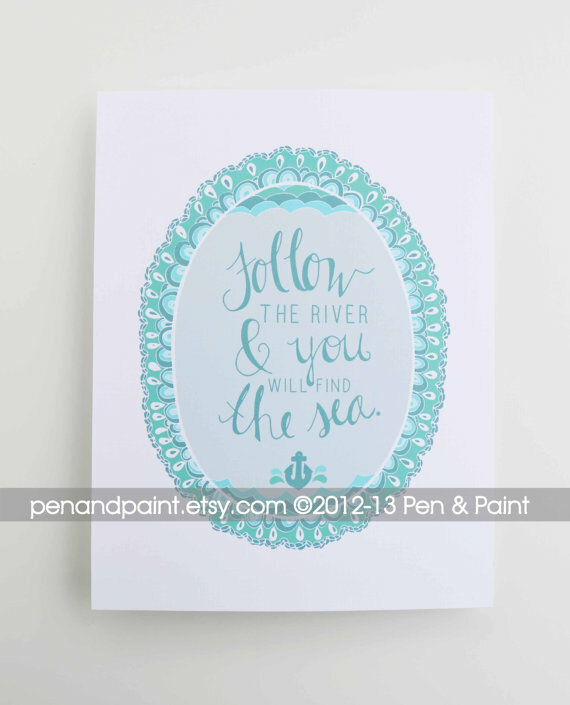 I like the Navy & Coral Scripture Print. Thank you so much for the giveaway, I love the do small things with great love print! Her home is wherever I'm with you print is a favorite of mine. I love the "Oh the places you will go" print. Or the nail polish!! or the garden one. Oh there are so many I like!